Mazda is a smaller manufacturer whose pockets aren’t as deep as those of most competitors. To protect its long-term viability, Mazda has decided to let Honda, Toyota and Hyundai occupy the affordable segment, while it focuses on offering more luxurious—and more expensive—vehicles. Their goal is to increase profit margins and generate higher earnings overall. This shift to a more upscale intention was introduced with the most recent generations of the CX?9 and CX?5 and solidified with the substantially more sophisticated Signature versions. It was the Mazda3’s turn to go under the knife and we now have an all-new generation for 2019. 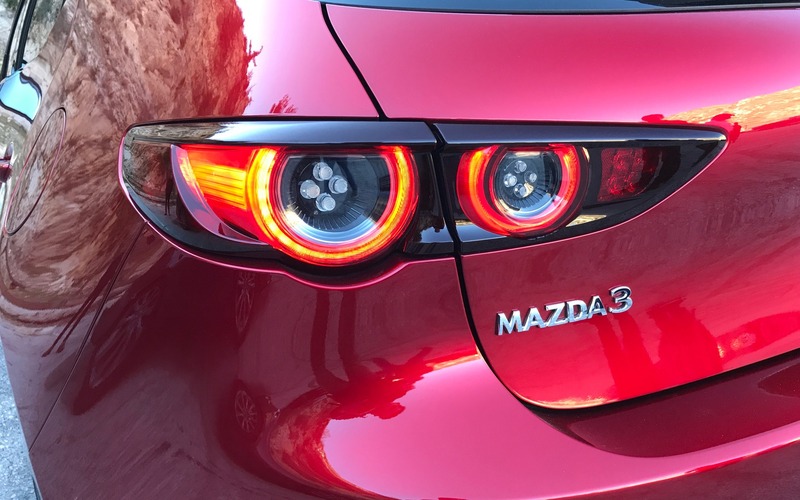 When our team got a chance to try it at a quick, but informative demo, we were eager to see if the new Mazda3 would live up to its aspirations and rise above its rivals. Starting at $18,000, the 2019 Mazda3 comes in three trims: GX, GS and GT. 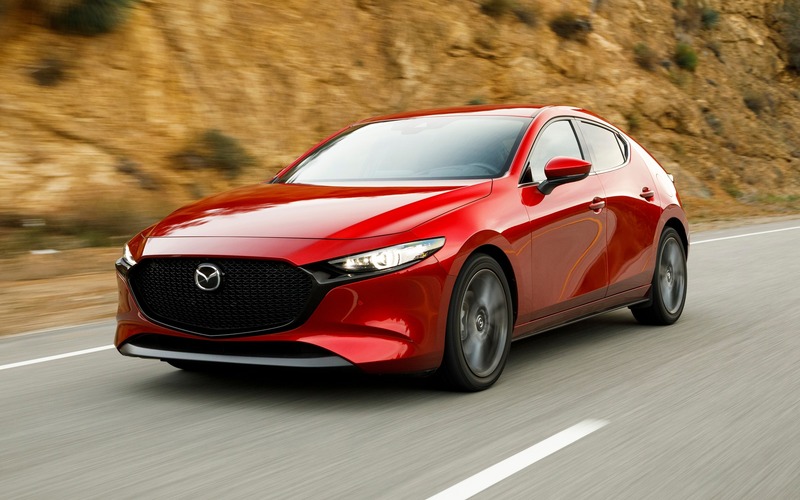 To attract buyers and distract them from the slightly more expensive price, Mazda will focus primarily on the vehicle’s design. The Mazda3’s new lines are inspired by the KODO design language, while various other traits are drawn from the Kai Concept and Vision Coupe. The result is a very elegant exterior with no fake-looking features. We even checked it carefully for sub-par components, which are sometimes seen in the industry, but didn’t find any. The two available configurations are the four-door sedan and five-door hatchback. Ever-popular in Canada, the hatchback is a good-looking ride that also promises enhanced versatility. Not everyone seems to like the rear treatment, but it’s nicer in person than in photos. We liked the taillights and how the round centre lights up, just like on a Ferrari. Details like that always make a good impression. Inside, we carefully examined the door panels, steering wheel and leather gear selector and found them all to be top-quality. The whole cabin has been transformed and now offers an impressive level of luxury, especially in the GT, which comes with a two-tone finish. The materials, assembly and attention to detail are a distinct cut above what many other manufacturers offer. Changes include a pared-down dashboard and a new infotainment system with an 8.8-inch display. Now a little higher and further back than before, the screen is more in line with your field of vision. However, it isn’t touch-sensitive anymore, so you now have to use a dial to select options. 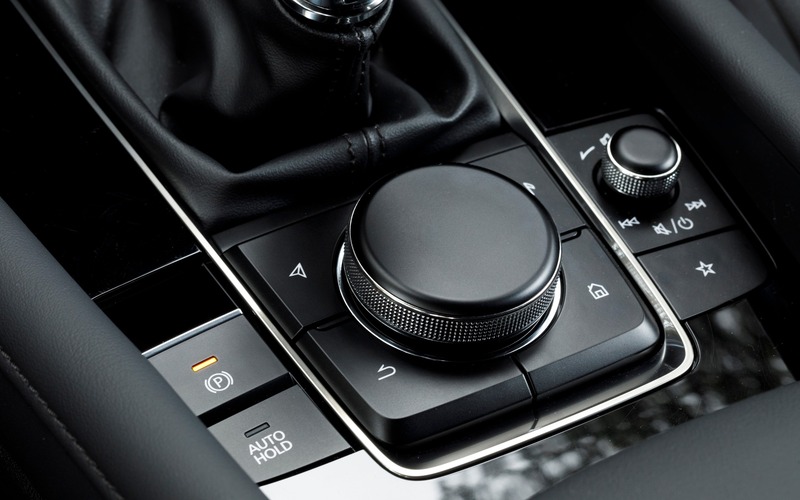 Both the ergonomics and presentation made us think of Audi. Overall, the menus are efficient and the system is not overly complex to use. But there’s no denying that a touchscreen would have been better, especially when you want to use Apple CarPlay or Android Auto features. There are two USB jacks in front, but none in back for your kids’ devices. Take a close look—or listen, as the case may be—to the 12-speaker Bose sound system. It delivers a much richer musical experience. The engineers paid special attention to how they positioned the speakers, instead of just adding them wherever they would fit. 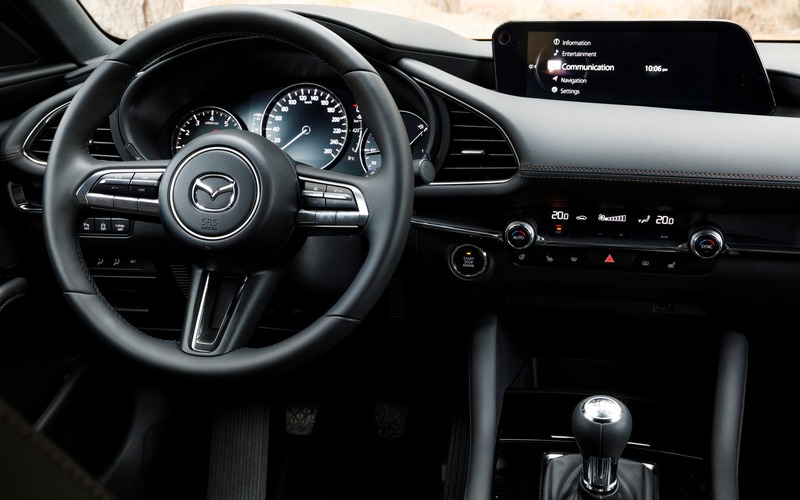 At a time when many automakers are shifting their focus to autonomous driving, Mazda is keeping enjoyment and the car-driver relationship as its top priorities. The two visions are polar opposites. And while Mazda’s approach may seem archaic, it’s what has kept Canadians so keen on the brand’s products for years. At Mazda, it’s all about the driving experience. Various technologies have been developed to support this philosophy, like the SKYACTIV architecture and the torque-vectoring control system. We may have pushed the vehicle to some extremes, but that’s the best way to appreciate these technologies. Reading a brochure won’t sell you on a Mazda3, but if you drive one day in and day out, you’ll really appreciate its qualities. Unfortunately, we didn't get to test a unit with all-wheel drive, which is one of the most exciting new features available in the new-gen Mazda3. The all-wheel drive trims will be released later this year. However, we were told that the Mazda3 will use the same system found in the CX?3, with a few differences in traction management and torque distribution. The problem is that all-wheel drive is only available starting with the GS version, meaning you’ll have to shell out at least $26,000 for it¾$27,000 for the hatchback. This gives an advantage to the Subaru Impreza, which includes all-wheel drive on all trims. The drivetrains are the same as before, but with tweaked management systems and slightly better output. 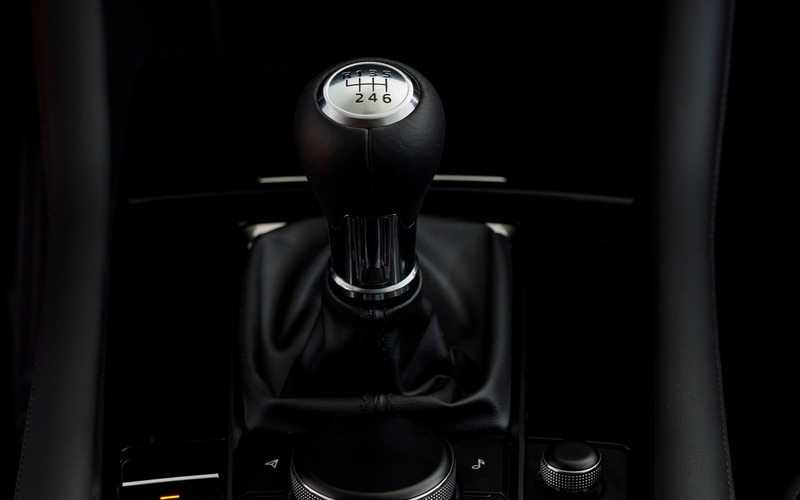 The first unit we tested was equipped with the basic 2.0-litre four-cylinder engine and the excellent six-speed manual transmission, which proved to be precise, just like the clutch. It gives you a real sense of control and Mazda has rightfully earned its reputation for having mastered this art. The basic engine is pleasant and offers additional fuel economy. Our test model came with the light hybrid system being offered in Europe, but there are no plans to bring it to North America for now. You can squeeze a little more power from the 2.5-litre four-cylinder engine available as an option in the GS and standard in the GT. 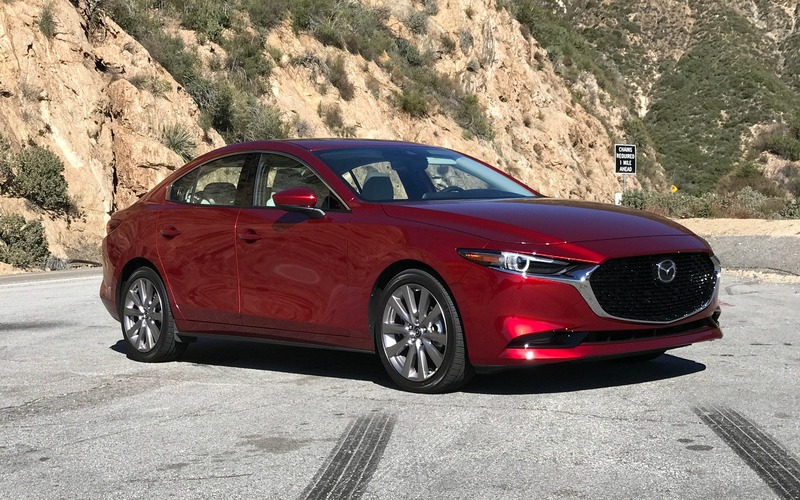 In the sedan, this engine is paired with a six-speed automatic transmission, but in the Mazda3 Sport hatchback it can also work with the manual gearbox. 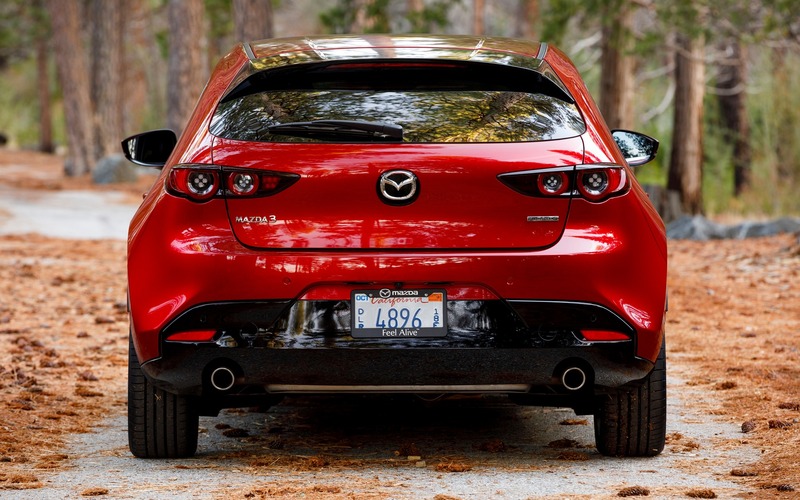 Clearly, this engine does a better job of elevating the Mazda3 to its ambitions. 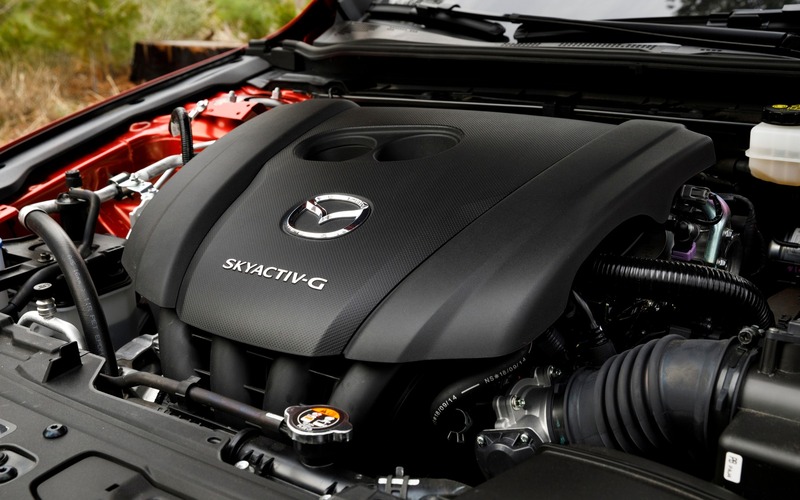 We also expect a SKYACTIV-X engine to be released, offering the same amount of power and better fuel economy. The Mazda3 is now built on the automaker’s small vehicle platform, meaning there’s a torsion beam rear suspension, like in the CX-3. The engineers explained that this will result in better control when cornering, particularly by minimizing body roll toward the centre. 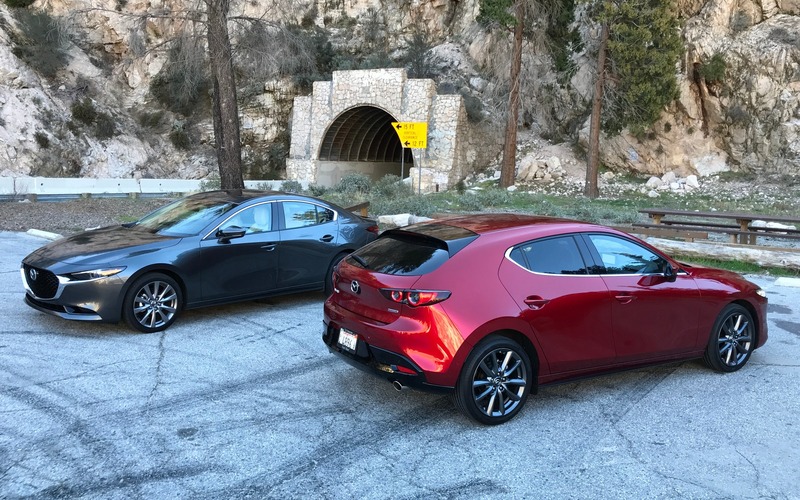 Having had the chance to push the car on the winding roads of California, we can confirm that the new Mazda3 is up to task on corners. Weight transfers have been minimized and the chassis is ultra-rigid. In fact, we didn’t find any reason not to like the changed suspension. The only thing that’s missing is a super high-performance version to flaunt these aptitudes in the face of the WRX STI and Golf R.
10/10	10 This is what it’s known for!